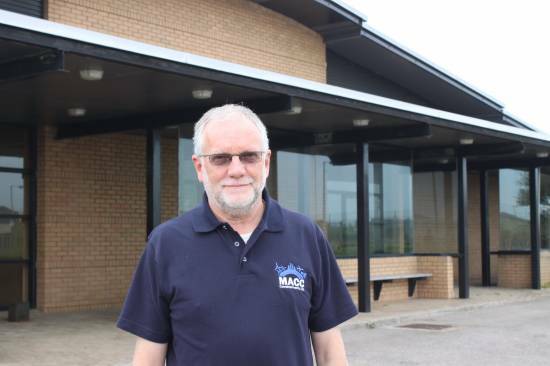 Having hosted a hugely successful rally in July, being announced as a potential location for the first British spaceport and with production soon to start at a new onshore fish farm located on site, it has been a very busy year so far for Machrihanish Airbase Community Company. However, it is full steam ahead with the recruitment of a new projects officer this month. New appointment, Cameron McNair, joins MACC with a background in commercial property. Having started his training to be a chartered surveyor in Campbeltown assessor’s office in 1979, Cameron went on to become a director at Jones Lang LaSalle in Glasgow, where he was responsible for the asset management of large commercial property portfolios. Cameron has a strong connection to Campbeltown, having spent many childhood holidays in Argyll, then later working in the assessor’s office in the early stages of his career. After retiring from Jones Lang LaSalle in 2002, Cameron moved back to Campbeltown in 2011. Returning to work after 12 years, Cameron feels his experience in property development will be a great benefit to MACC going forward. A key role of Cameron’s will be to explore opportunities in the renewable development of the former military airbase. There has been considerable interest in the site from a number of renewable energy firms, including industry leaders in solar, biomass and wind. MACC continues to receive valuable support from Highlands and Islands Enterprise (HIE) through its account management programme and they hope to further build on this relationship in the future by attracting inward investment and creating more opportunities.